Have you followed Foodista's boards on Pinterest? If so, you'll certainly recognize this week's featured Foodista Pinterest board, Earth Day. This board features plenty of delicious globe-themed goodies to celebrate the bounty of our wondrous world, including cupcakes, cake pops, cupcake toppers, cookies and even seed bombs that grow edible flowers. 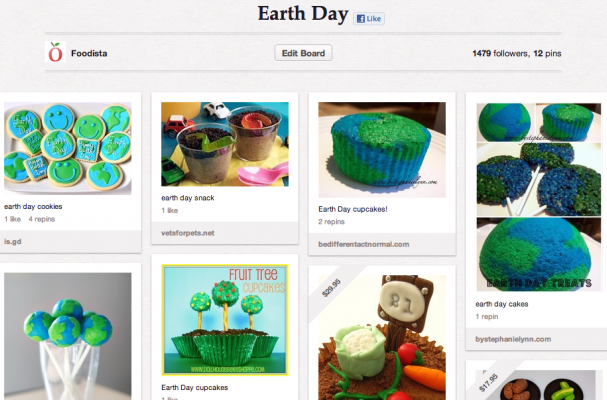 Do you have an Earth Day-themed Pinterest board? If so, comment on one of our Earth Day pins with the link so we can check it out!